Consider this common scenario: You’re a production company hired to shoot and produce a campaign video for a client. You capture hours of stunning footage for a 5-minute spot. Several hero shots and plenty of worthwhile b-roll don’t make the final cut. This footage sits on a hard drive in your office collecting dust for years. The Copyright Act dictates that, by default, the filmmaker owns the rights to their creative work. But, it is common practice for a client to include a clause within a contract assigning copyright to the financier of the project, not the filmmaker. However, this doesn’t have to be the case. Retaining ownership rights to your footage can provide a freelance filmmaker, production company or agency with a valuable secondary source of income. Consider retaining rights to the creative assets you produce through Video Asset Licensing (VAL). How you go about retaining these rights will depend on whether you are an ad-agency, studio/production company, or freelancer. Ad-Agency: Consider approaching your client about the benefits or licensing unused footage for product placement. Explain that after the project is over, video assets from the production shoot can be licensed to to gain further exposure for the product and company. For example, an agency produced a video of skateboarder Danny Way jumping the Great Wall of China for DC Shoes. Several years after the video was shot, HBO licensed the footage for a documentary film, (view licensable video here) providing additional income for the agency and beneficial product placement for the DC Shoes brand. Studio/Production Company: If the client requires you to use their contract, you’ll likely need to add a license back clause into the agreement to retain rights to your footage. You may want to consult with an attorney on which type of clause you should use and where to include it (or contact [email protected] to contact Nimia’s in-house legal team). If you are writing your own contract, consider using Nimia’s Standard Production Contract, which grant you rights to license video you shoot for a client. Freelancer: If your client did not ask you to sign a contract, you own the rights to your work. This gives you freedom to license video assets in Nimia’s Marketplace. If your client gives you a contract to sign, send it to your attorney and they will suggest where to request a license back clause. Nine Eye Productions, a creative marketing and production company headquartered in Los Angeles, recently won a contract from NatGeo to create three 30-second commercial spots for their show Border Wars. Nine Eye receives the contract from NatGeo, but before signing they remember VAL. They send the contract to their assigned attorney at Nimia to review. Nine Eyes receives the contract back with suggestions, one being where to add a license back clause. Nine Eye then sends the comments over to NatGeo who discusses these changes with the Nimia attorney and ultimately acceptis the license back edit. Nine Eye now retains rights to some of the footage they will shoot for the contract. After the shoot, Nine Eye stores, manages all the footage via their Nimia account. They transfer the raw video assets and final completed works to NatGeo. After the project is complete, Nine Eye implements VAL in three steps: (i) selecting the approved video assets, (ii) choosing the appropriate license type for the video assets, (iii) publishing the video assets to the Nimia Marketplace. The next day, Doug Varba, an unrelated director in New York City, needs a short desert scene for a music video he is producing for Macklemore. Rather than fly a film crew out to the desert, Doug saves money by licensing a shot from Nine Eye Productions. Retaining the rights to your raw footage can provide a profitable secondary source of income for ad agencies, production companies, and freelance filmmakers alike. 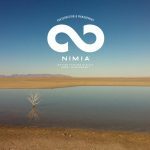 Nimia makes selling this footage easy, through a platform that allows you to organize, showcase and license your footage all in one place. The passive income you earn through Video Asset Licensing (VAL) can either be invested back into your operations, or placed into a Trust or Will for your family (learn more here: Digital Estate Planning for Filmmakers). Interested in more in-depth legal consultation or support? Nimia has a team of in-house attorneys specialized in management of intellectual property, including licensing and contracts, copyrights, trademarks, patents, and trade secrets. Contact [email protected] to get started.